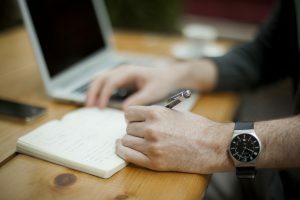 Even though the digital age seems to be constantly adding tasks to our already busy daily schedules, it can also offer a solution and help take off some of the load. This solution comes in the form of a virtual personal assistant, also called a digital or an AI assistant. A virtual personal assistant is a software in smartphones and other connected devices which acts as a personal assistant by helping users carry out numerous tasks so that they can concentrate on more important things. A virtual assistant understands voice commands and performs tasks typically undertaken by a personal assistant or a secretary -taking dictation, reading emails and text messages aloud, placing phone calls, scheduling, or reminding users about various appointments. There are many virtual personal assistants available depending on the operating system and its implementation – Apple’s Siri, Samsung’s Bixby, Amazon’s Alexa, Google’s Assistant, Microsoft’s Cortana. 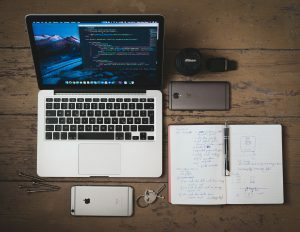 Even though this article primarily focuses on digital personal assistants, we have to point out that the term virtual personal assistant can also be used to describe a contract worker who works from home and does various administrative tasks. How virtual personal assistants work? Virtual assistants are cloud-based programs which require devices and/or applications with an Internet connection to operate. The technologies behind them require incredible amounts of data feeding artificial intelligence platforms, including speech recognition, natural language processing, and machine learning platforms. While end users interact with virtual personal assistants, the artificial intelligence programming uses complex algorithms to learn from data input with the purpose of getting better at predicting the end users’ needs. In the past, virtual assistants were only capable of understanding basic commands and responded only to a list of predefined commands, but now they are powered by advanced natural language processing and AI technologies. This enables them to understand natural speech and give answers just like a human being would. They practically “learn” the language and adapt to individual users providing personalized service. Virtual assistants can even recognize faces, communicate with other software and smart device, and identify various objects. 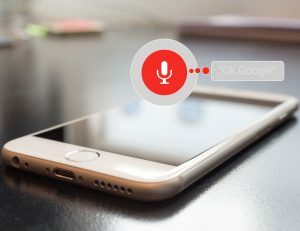 A virtual personal assistant is activated by voice command or greeting, for example, “OK, Google,” “Hey, Siri” or “Alexa.” As they are passive listening devices, they are always hearing what is going on around them, which can raise some privacy concerns. Some smartphone-based assistants can also be activated by holding down the button on your device. If the virtual assistant does not understand your command or cannot find the answer you are looking for, it will inform you so you can try to rephrase your question or speak louder or slower. What can you expect from your virtual personal assistant? The answer is, almost any kind of virtual assistance. They can make and receive phone calls, create text messages, add events to a calendar, add items to to-do-lists, set up reminders, get directions, say weather and news reports, find restaurants and hotels, check flight status, request songs and give other information that would typically be searched in web browsers. One of the most exciting features is probably checking the status and controlling smart home devices. They can be used to control various items in a home, like door locks, lights, thermostats, and other smart home devices (coffee machines, dishwashers, washers, and dryers, etc. ).